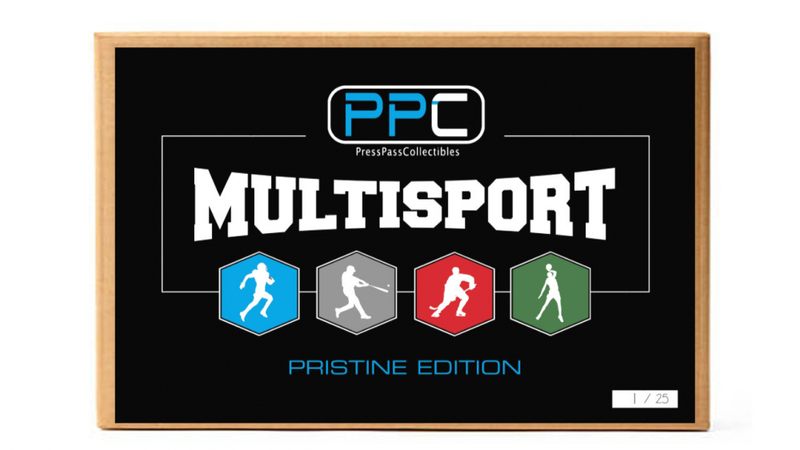 This multisport mystery box from Press Pass Collectibles includes 4 premium pieces of autographed sports memorabilia. Limited to just 25 boxes, this series is absolutely loaded, get your spot today! LIVE Box Break - To be opened on Facebook Live on March 22nd at 6PM Eastern. 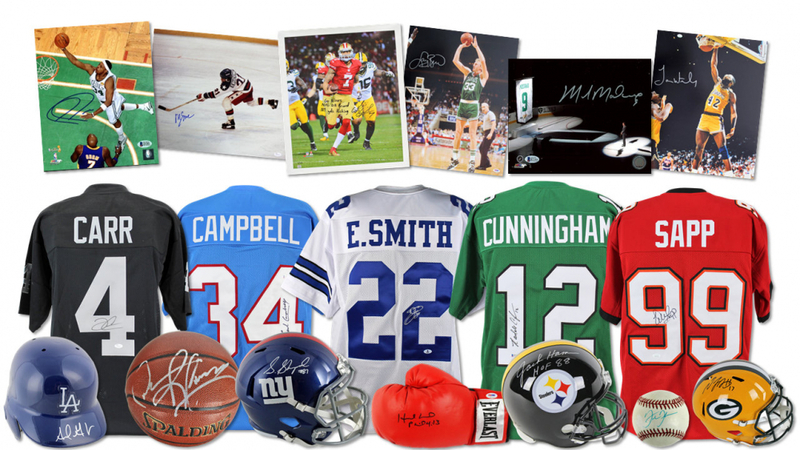 We ask that the winning bidder complete payment for this lot on or before March 22nd when we break these on Facebook Live. 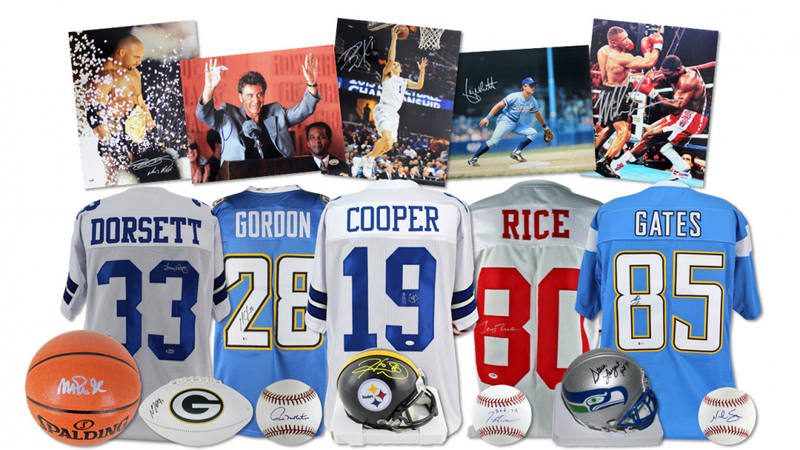 All 25 boxes are being offered in the current auction which ends March 19th. NO RESERVES! The items will be sent to the winners after they are opened live. This auction is for box #11 of 25. 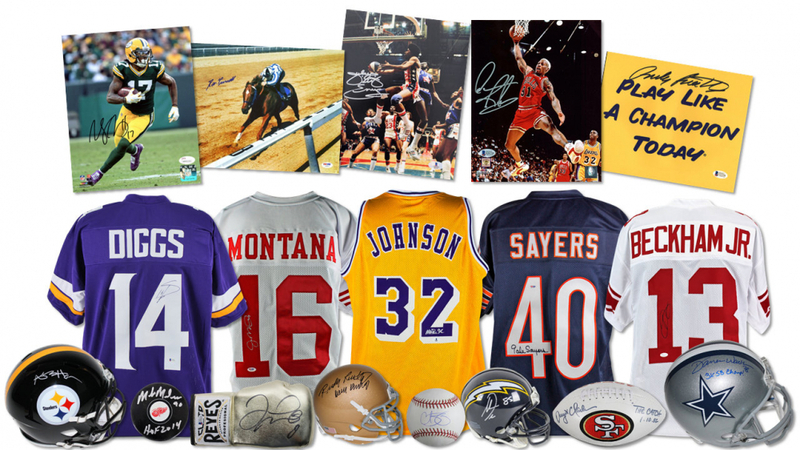 Each item is authenticated by one of the leading third-party authenticators or player hologram. 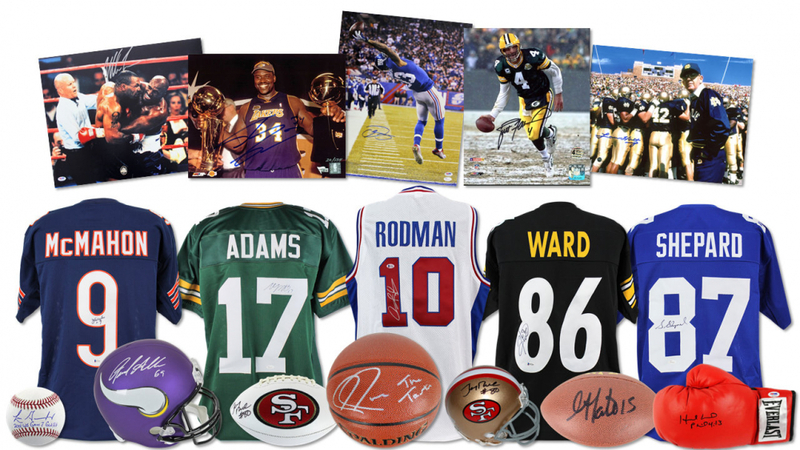 Key names include: Emmitt Smith, Joe Montana, Julius Erving, Jerry Rice, Derek Carr, Al Pacino, Larry Bird, Evander Holyfield, Jack Ham, Dennis Rodman, Davante Adams, Stefon Diggs, Dwight Clark, Magic Johnson, Antonio Brown, Antonio Gates, Darren Woodson, Gale Sayers, Floyd Mayweather Jr., Mike Tyson, Brett Favre, Hines Ward, Shaquille O'Neal, George Brett, Melvin Gordon, Amari Cooper, Bill Goldberg and many more. On March 22nd at 5PM Eastern, Pristine will be breaking these on Facebook live – Make sure you don’t miss out on the excitement!